Every now and then a scientific paper makes a real splash. We had one recently, to judge from recent headlines. “Moon rises to claim its place as a planet” said The Sunday Times on February 19, while the Mail Online asked “Is this lunarcy?”. The articles were among many responding to the humble paper: “A Geophysical Planet Definition”, which suggested that the criteria for determining what constitutes a planet need an overhaul. It argued that the moon, Pluto and several other bodies in the solar system should be upgraded to planets. The paper, published in Planetary and Lunar Science, was written by a team including Alan Stern. Stern is famous for NASA’s New Horizons mission, which made its spectacular flyby of Pluto in July 2015. The paper is a bit technical, but it basically argues that the geophysics of a body should determine whether it is a planet – not just whether it orbits the sun. We are so used to thinking of the Earth’s satellite as a moon that the idea that it could be a planet is truly shocking. But ancient Greek and medieval astronomers all assumed that the moon was indeed a planet. Ancient observers knew that the stars maintain their relative positions night after night: they saw constellations such as Leo or Gemini just as we do. But they also saw seven heavenly bodies slowly change their positions, wandering from west to east through the sky. The most important was the sun. The 12 signs of the Zodiac it passed through marked out the circle astronomers call the ecliptic (see figure below). The sun (we would say the Earth, of course) orbited in one year, while Saturn wandered through this plane every 30 years, Jupiter every 12 years and Mars every two years. Planet Moon did so in 1/12 year – one month. In fact, the word for planet comes from the Greek πλανήτης (Latin planeta) meaning “wanderer”. The moon was of special interest. Its proximity made it the only “planet” with visible features – “the man in the moon”. Aristotle (384-322 BCE) asked several questions about the physics of the moon – including why we always see the same face, and never the far side? It’s a good question, and astronomers now explain it as the result of gravitational forces between planets and large moons, and they call it “tidal locking”. Aristotle drew a different conclusion. He thought it proved that the moon had no innate ability to rotate or move. He assumed the same was true of all planets. They only move, he said, because they are carried in a circle. This was the origin of elaborate Medieval cosmology in which the planets and stars are rotated by a nest of celestial spheres. Had our moon not been tidally locked, astronomy might have taken a different path. Did our predecessors have good reason to include the moon with the other planets? I think so, but mainly because of a strange astronomical coincidence. Almost all large moons orbit in, or very close to, the equatorial plane of their parent planet, but our moon does not – it inclines by as much as 28 degrees. However, Earth’s equatorial plane is tilted with respect to the ecliptic by angle of 23.5. The combination of these two unusual circumstances means that the moon does appear to move in the plane of the ecliptic – and never more than 5 degrees above or below it. Without it, ancient astronomers might not have treated the moon as a typical planet. With Copernicus’s heliocentric astronomy, published in 1543, the moon ceased to be a typical planet. 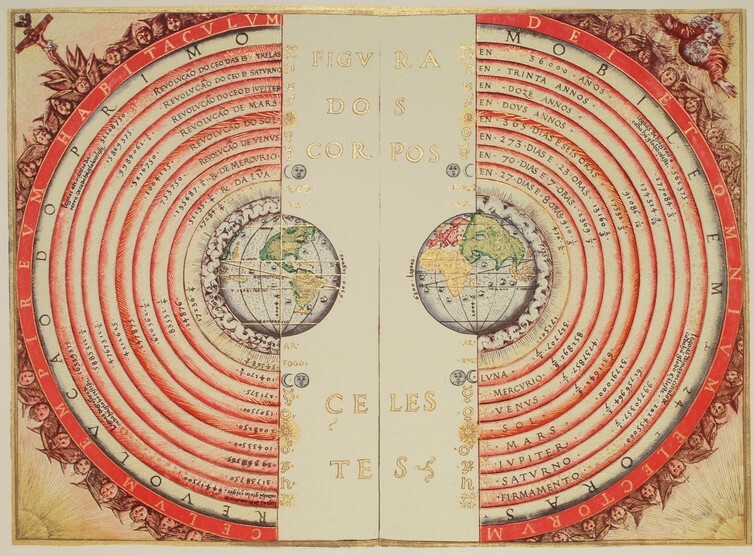 Uniquely, as Copernicus’s critics pointed out, its orbit was centred on the Earth, not the sun. It was now Earth’s “satelles”, meaning servant, from which our word satellite derives. And there was more loss of status in store. When Galileo trained his telescope on Jupiter in 1610, he discovered four satellites. Lovely news for Copernicans, but not for Luna. It was no longer THE moon, but one of five, a number which rose rapidly towards the 182 moons we know today. Seemingly, there is nothing new under the sun. In Galileo’s time the moon was the subject of an argument between the new cosmologists, who saw it as Earth-like with seas and lands, and the old astronomers who insisted that it was a proper, perfect heavenly body. With his new definition of a planet, Alan Stern has renewed that battle. According to his paper, astronomers “may find the IAU definition perfectly useful” but “our geophysical definition is more useful for planetary geoscience practitioners, educators and students.” Or, as Stern put it bluntly in 2015: “Why would you listen to astronomers about a planet [instead of] planetary scientists that know something about this subject”. And they know, or think they know, that the moon should become a planet again. Whether that will actually happen is completely down to the International Astronomical Union, which would have to make the decision. Older PostExplainer: why do we get butterflies in our stomachs?